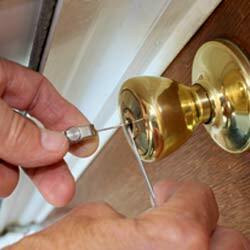 Our team of professional locksmiths, glaziers and carpenters also specialises in door repairs and replacements for residential and commercial properties in Northwood HA5 and throughout Harrow. If you are looking for a commercial London door repair and replacement service in Northwood HA5 or anywhere throughout Harrow, as a matter of urgency, please see our Commercial 24Hr Locksmith Services available 24/7 in Harrow and throughout London. Need a Door Repaired or Replaced in Northwood HA5 or across Harrow? Are you looking for a locksmith in Northwood HA5 to repair your broken door or do you think a full door replacement is required? Either way Premier Security can help you anywhere throughout Harrow and across London. 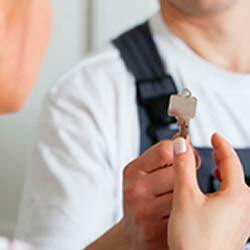 Our team of qualified and experienced locksmiths in Northwood HA5 can be with you in under 30 minutes and will always provide expert guidance relating to your possible options. Premier Security London is proud to offer you a very high quality door repair service including emergency door repairs and door replacement in Northwood HA5 and throughout Harrow. Not only will we carry out a full door installation, we will also repair where possible and replace where required at your home or work premises in Northwood HA5 or throughout Harrow. Our professional team of London locksmiths, glaziers and carpenters in Northwood HA5 will arrive at your home or workplace within 30 minutes to repair your broken door or provide a replacement door. We provide London commercial and residential Harrow 24 hour door repair and replacement services including frame repairs, door replacing, door lock repairs, fixing hinges and repairing closers of all types. In Northwood HA5 our team of experts will arrive fully-equipped to replace aluminium door bottom pivots and complete new door and frame installations throughout Harrow and London. Premier Security Locksmiths provides door repairs and replacements to homes, schools, offices and other commercial premises such as shops, restaurants, bars and nightclubs in Northwood HA5 and throughout Harrow. Take steps to ensure your home in Northwood HA5 is safe and prevent burglaries from taking place. 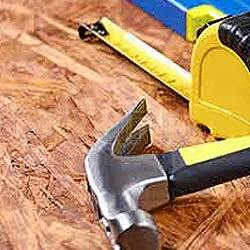 We provide door repairs and replacements 24 hours a day, 7 days a week throughout Harrow. Where circumstances allow it we will organise a same day door replacement but if this cannot be achieved, we will still secure your property in Northwood HA5 to ensure you can continue living as usual without concern of a second attack or break-in from opportunists circling areas in Harrow and throughout London. Locked In or Locked Out of your Home or Commercial London Premises in Northwood HA5 or across Harrow? Premier Security emergency door opening services are available 24/7 in Harrow and throughout London. We will provide solutions for pretty much anything related to repairing and replacing broken doors at homes and London commercial premises in Northwood HA5 and across Harrow. Our door repairing services in Northwood HA5 also cover a wide-range of lock services including door lock repairs, upgrades, door lock fitting and installation, lock replacement, picking and entry, urgent replacement door and locks across Harrow and throughout London. It is common for people to get their keys stuck in a lock and then damage the lock by trying to extract the key so make sure you contact us for a fast-response key extraction service in Northwood HA5 and throughout Harrow. We will be with you in no more than 30 minutes. You can rely on our London glaziers to provide window repair and replacement services in Northwood HA5 and throughout Harrow during your time of need. No job is too large for our team of 24 hour glaziers in Northwood HA5 and we guarantee to arrive anywhere in Harrow within 30 minutes of your call. We have a record of building long-term professional relationships with London businesses in Harrow and throughout Greater London. All glass is supplied and installed for glass doors or broken shopfronts in Northwood HA5 and you also get the option to choose from a range of clear, opaque and patterned glass types. We can also take care of door panel replacement, full shopfront replacements and glass shop front repair and replacements in Northwood HA5 and throughout Harrow. We repair & install double glazed windows, UPVC sliding doors and windows, conservatories, patio doors as well as repairing or fitting window security locks and other features that make up your glass windows and doors in Northwood HA5 and throughout Harrow. We offer a bespoke secondary double glazing service across Harrow and can provide glazing; even if you are just having a new pane of glass installed at your home or commercial premises in Northwood HA5 or throughout Harrow, we can help you all the way through the glass buying and glass door or window installation process in Harrow and throughout London. Premier Security is certified by the London Metropolitan Police service and has earned a reputation for being one of the most trusted locksmith services for burglaries and break-ins taking place in Northwood HA5 and throughout Harrow on a daily basis. We can fix your broken bi-fold and patio doors and provide full glass replacements where required at your home or workplace in Northwood HA5. Where bi-fold and patio door repairs do not apply it may be the answer to get a new replacement door supplied and installed by our glass and UPVC specialists in Northwood HA5 and throughout Harrow. We will arrive fully-equipped to deliver Upvc, door and lock repairs in Northwood HA5 and across London. Our team is made up of wood, glass, aluminium and steel specialists, and operate in Harrow and throughout London. Our Premier door repair and replacement services in Northwood HA5 also cover panic bar installation and fixing closers of all types including surface mounted closers, transom closers and floor springs for homes and commercial premises in Northwood HA5 and across Harrow. Don’t hesitate to contact our team regarding your requirements and we will be at your home or workplace in Northwood HA5 in under 30 minutes. If you are looking for fire door repairs or replacements for your business premises in Northwood HA5 or throughout Harrow send us a message and we will respond immediately. Other services include wooden internal doors and a full range of external doors for residential and commercial properties in Harrow and throughout London. Premier Security continues to grow steadily in all types of security, door repair and door replacement work including French/Patio doors, Upvc doors, Composite doors and electronic doors at your home or business in Northwood HA5 and throughout Harrow. All members of the Premier team are fully qualified and vetted to ensure you receive a service of the highest standard at your home or business in Northwood HA5 or anywhere throughout Harrow. We have built our reputation in Northwood HA5 and throughout Harrow based on trust and customer care. We will continue to grow steadily in all types of security and locksmith work including lock repair, lock installation and precision key-cutting in Northwood HA5 and throughout Harrow. We believe in the prevention of crime and specialise in the installation of burglar alarm systems and other preventative security measures including boarding-up vacant properties in Northwood HA5 to prevent squatters and break-ins happening throughout Harrow. Premier Burglary Repair Services in Northwood HA5 include window and door boarding up services across Harrow and throughout London. Have you just arrived at work in Northwood HA5 or anywhere in Harrow to find your shopfront smashed or have you just returned home to see a burglary has taken place leaving your door broken? Our Premier replacement door range guarantees improved security and appearance of your home or workplace in Northwood HA5 and throughout Harrow. You have the freedom to choose a front door replacement or door repair that suits your requirements exactly. You can choose from a range of replacement doors in Northwood HA5 including Upvc doors with toughened glass, French/Patio doors supplied in aluminium, Upvc, Composite and timber with a selection of colours for the perfect finish at your Northwood HA5 London property. If you prefer you can choose from our range of electronic door locks. As your local London door repair company in Northwood HA5, we can repair, replace or upgrade any door lock on your premises including a variety of electronic door locks at your home or workplace in Northwood HA5 and throughout Harrow. Premier London Security also offers a full range of locksmith and other door maintenance services in Northwood HA5 and throughout Harrow including door sagging repair, lock repair, lock replacement and various other Burglary Repair services throughout Harrow. Need a Local 24 Hour Door Specialist in Northwood HA5 or across Harrow? Feel free to contact us wherever you are in Harrow or throughout London. If you are looking for a home security upgrade or just a "24 hour door replacement service Northwood HA5" you can book a FREE consultation with one of our expert glaziers in Northwood HA5 or anywhere throughout Harrow. Need a 24Hr London Locksmith Service Northwood HA5 & across Harrow? 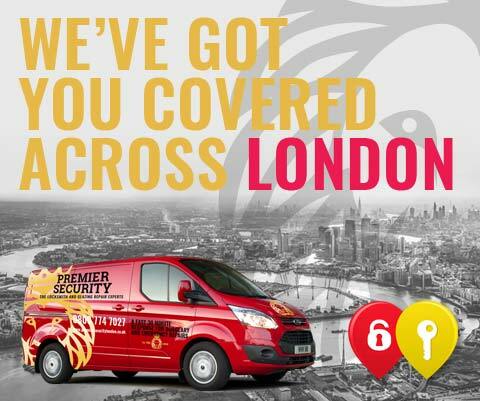 Premier Security London is a team of fully qualified and insured Northwood HA5 locksmith service which provides 24hr emergency London locksmiths to arrive with you in Northwood HA5 or anywhere throughout Harrow within 30 minutes of your call being made. We offer a full range of 24hr locksmith services to homes and commercial buildings in Northwood HA5 including shops, offices and nightclubs across Harrow. We offer guarantees on all London key-cutting services, key extraction, rekeying locks, key manipulation and a reliable Northwood HA5 commercial locksmith service specialising in lock repair, lock replacement, lock upgrades and lock installations carried out at your London commercial space in Northwood HA5 and the whole of Harrow. 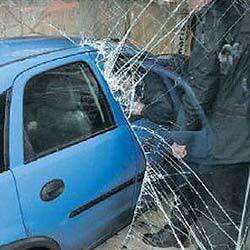 Have you had your windows smashed at home in Northwood HA5 or have you arrived at work to find your shopfront smashed in Harrow? Our Police Certified Premier London Glazing & Boarding Up Service in Harrow covers various crime scenes including burglaries and break-ins taking place in Northwood HA5 on a daily basis. We provide London glass and glazing services to homes that need emergency burglary repairs in Northwood HA5 and also to various commercial clients looking for a reliable regular London glazier to attend in Northwood HA5 or throughout Harrow where required. Our residential and commercial 24 hour window and door boarding up and glazing service is made available in Northwood HA5 7 days a week and throughout Harrow and London. Need a Window Repaired or Replaced in Northwood HA5 or throughout Harrow? Premier Security provides Window Repair and Window Replacement Services throughout Northwood HA5 and across Harrow. If you are looking for a 24 hour Glazier Northwood HA5 or locksmith to fix your broken window locks anywhere throughout Harrow; you have arrived at the right place. It is important to determine whether your window needs fixing or if you need a full window replacement for your home or commercial premises in Northwood HA5, then you can decide on how best to tackle the issue at hand. Our team of 24 hour professional London locksmiths and highly experienced glaziers across Harrow will provide guidance to help you make informed decisions where required. Premier Security London specialises in wooden door repair and replacements throughout Northwood HA5 and will arrive fast to fix your broken door frame, install a new wood door frame or repair any wooden door locks anywhere throughout Harrow. We repair and replace interior wooden doors and exterior timber doors for homes and business premises throughout Harrow and London. Our 24 hour door services are available throughout Northwood HA5 and include door lock repair and installation, door lock changes for wooden doors and secondary double glazed door lock repairs and hinge adjustments throughout Harrow and London. Security is key when it comes to installing a new door and lock installation must be up-to-date with current British Security Standards. We will install multipoint locking mechanisms for wooden panel doors, heavy duty doors, temporary doors, fire proof doors, composite doors and glazed doors to ensure your safety and security at home or at work in Harrow. Premier Security London boarding up and door replacement services in Northwood HA5 are most commonly requested after a break-in or burglary has occurred. Our team of emergency door repair technicians are available 24/7 for door and frame repairs, door adjustments, door replacements and boarding up throughout Harrow and London. Request a same day door replacement and protect your property from risk of further attack. 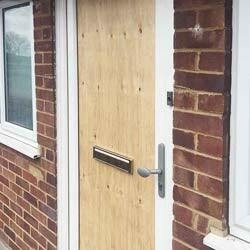 We will board up your house or business premises in Harrow temporarily until a new door replacement is sourced.